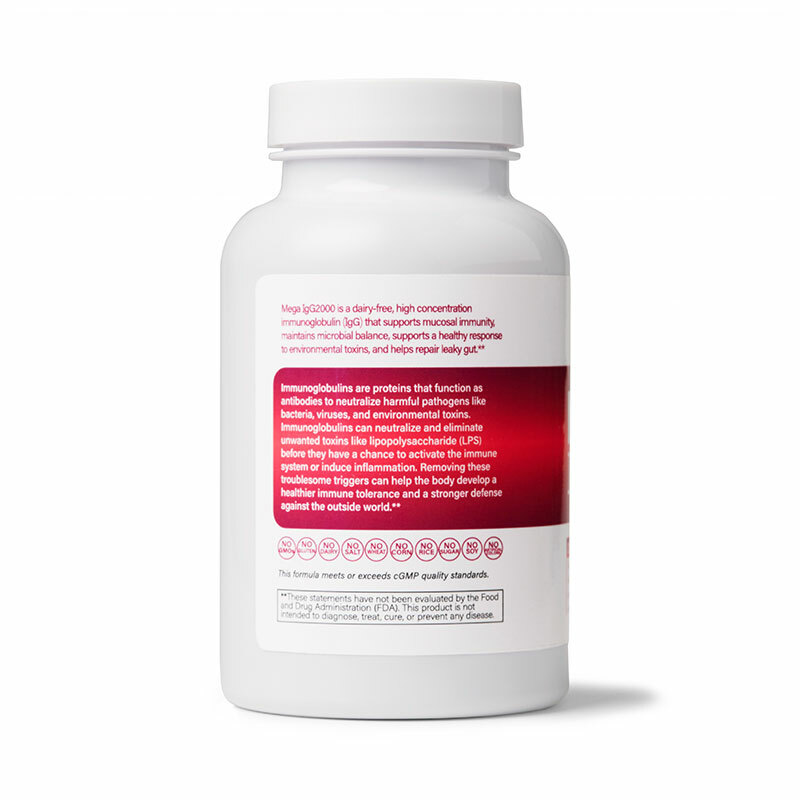 MegaIgG2000 is a dairy-free immunoglobulin concentrate that supports healthy digestion and maintains healthy gut barrier function. 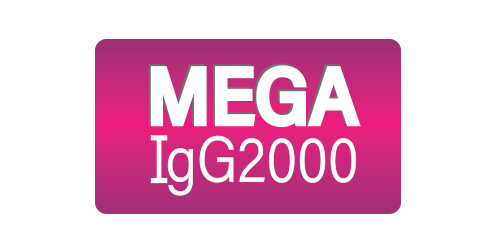 Unlike other milk-derived immunoglobulins on the market, Mega IgG2000 is derived from bovine serum, making it lactose-free, casein-free, and β-lactoglobulin-free. 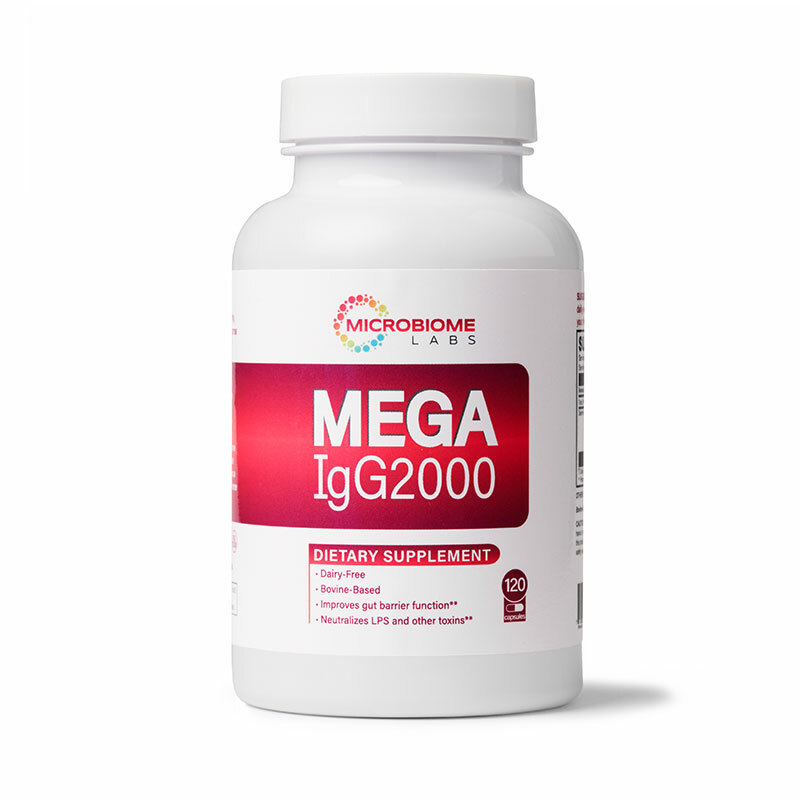 Mega IgG2000 is a dairy-free immunoglobulin concentrate that supports healthy digestion, binds environmental toxins, and maintains healthy gut barrier function. 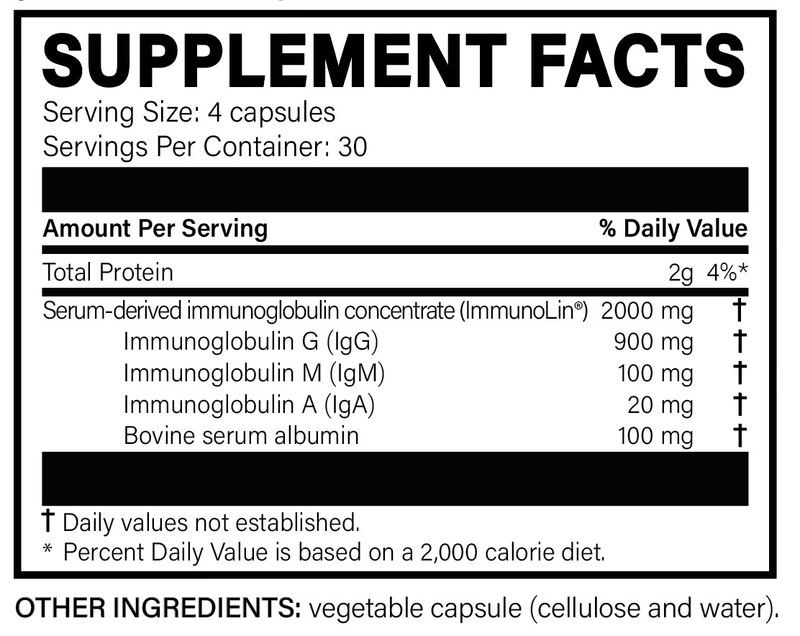 Unlike other milk-derived immunoglobulins on the market, Mega IgG2000 is derived from bovine serum, making it lactose-free, casein-free, and β-lactoglobulin-free. Ages 2+. 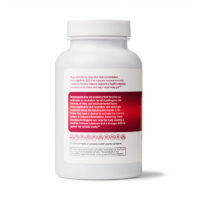 Take 4 capsules daily with or without a meal, or as directed by your healthcare professional. Detzel CJ, Horgan A, Henderson AL, Petschow BW, Warner CD, Maas KJ, et al. 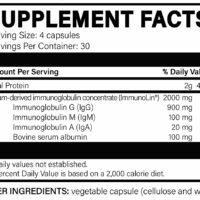 Bovine immunoglobulin/protein isolate binds pro-inflammatory bacterial compounds and prevents immune activation in an intestinal co-culture model. PloS one. 2015;10(4):e0120278. Kuchibhatla R, Petschow BW, Odle J, Weaver EM. Nutritional Impact of Dietary Plasma Proteins in Animals Undergoing Experimental Challenge and Implications for Patients with Inflammatory Bowel Disorders: A Meta-analysis. Adv Nutr. 2015;6(5):541-51. Perez-Bosque A, Miro L, Maijo M, Polo J, Campbell J, Russell L, et al. Dietary intervention with serum-derived bovine immunoglobulins protects barrier function in a mouse model of colitis. American journal of physiology Gastrointestinal and liver physiology. 2015;308(12):G1012-8. Wilson D, Evans MD, Weaver E, Shaw AL, Klein GL. Evaluation of Serum-Derived Bovine Immunoglobulin Protein Isolate in Subjects with Diarrhea-Predominant Irritable Bowel Syndrome. Clinical Medicine Insights: Gastroenterology. 2013;6:49-60. Asmuth DM, Ma ZM, Albanese A, Sandler NG, Devaraj S, Knight TH, et al. Oral Serum-Derived Bovine Immunoglobulin Improves Duodenal Immune Reconstitution and Absorption Function in Patients with HIV Enteropathy. Aids. 2013;27:2207-17.